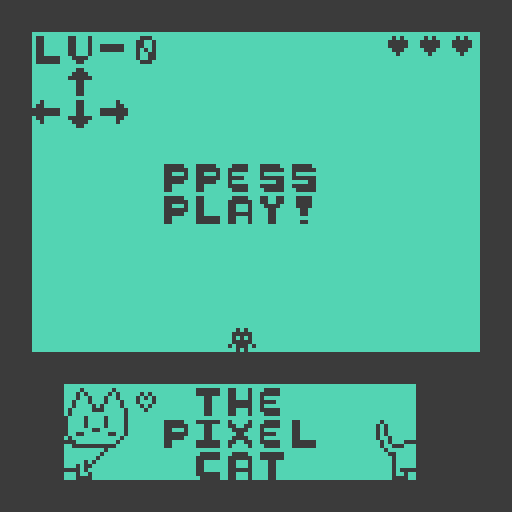 The Pixel Cat is an entry for the April 2018 Bitsy Jam. Directions: Use WASD or Arrow keys to move. Game Description: Neko is lost and must find out where to go. He is searching for something, but needs your help to figure what it is. 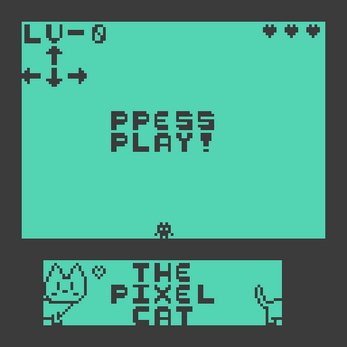 Features fateful choices, a puzzle area, health system, dangerous traps, secrets, and cats. Dev Log: I worked on the game on and off during the weekend and Monday (about three days). I tried to keep it simple, but I ran out of time once again on this jam. I had to cut one area out and shorten another major path in the story. I also wanted to add more details and interactions. *Spoilers* My idea was to branch paths according to how many hearts you had left. If you go through the sewers you can actually get a lot of different endings depending on how many hearts you have left and how you answer the questions. The avatar was originally a cat figure, but I didn't like how the cat was only facing one way so I changed it so it was facing forwards. I didn't want to create the levels going only in one direction. The family ending was a tough choice to make. Thanks for playing! I made the letters myself and I didn't even notice the typo on the title screen haha Thanks!